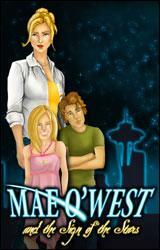 Mae Q'West is a widow and single mother of two children. She lost her husband Jack, a fisherman in the Pacific Northwest, to a boating accident of which no remains were ever found. One summer morning, Mae sends her children off to their annual camp trip and plans a relaxing week of antiquing and spa treatments. The same morning over coffee Mae reads her horoscope. The message feels oddly written for her and sends Mae on a mysterious adventure through Washington's Puget Sound. With help from the stars, Mae soon starts to uncover the truth of Jack's disappearance. Based on the story of a Capricorn mother of two kids, Mae Qwest and the Sign of the star is a good choice for anyone who is in love with the Hidden Object Adventure. Interest in Horoscopes and faith in Zodiac can prove to be an added advantage for the players.For those who are not versed with the storyline, here's a briefing. The main protagonist here is Mae, who believes in reading her horoscope everyday. She is a widow of a Fisherman Jack, whom she lost under mysterious circumstances when he was coming back from Alaska, in the Pacific North West. Search parties could not recover her husband's body and declared him dead later. On a usual sunny day, Mae , after sending her children to some summer camp being held annually, had plans to chill out to beat the heat with spa treatments over the entire week. While having coffee, as a part of her daily routine, she picked up her horoscope and found that the message read that she will find love again. From here begins her search and as she investigates, she gradually uncovers the truth behind her husband's disappearance. The catch here is that the clues are provided to her through her horoscope and then later she is joined by her friends Steve and Sylvia to find the truth. Initially, the game might not be able to make a lasting impression on the player with an entire wall scribbled with the storyline that you might not find interesting to read on as the whole write-up is overly concerned with minute details and formalisms. .Luckily, you have an option to skip the message if you wish too. Gradually you might enjoy the game as it requires a lot of hide and seek kind of searching a plethora of locations in and around the town. 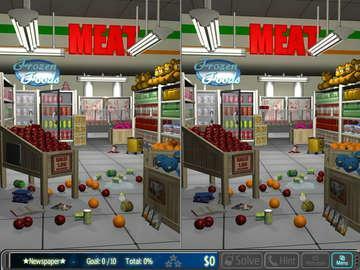 You are served with two different types of game play: Spot the Difference, Find the Objects. This variety in the game play makes it more interesting as it keeps the player's mind preoccupied and the game involves you totally into it. But at times you might feel that the game has a little too much going on side by side. You will be clear about this after reading the following. 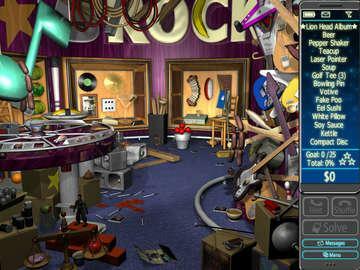 Like most of such arcade games related to hidden objects, you are supposed to achieve the target of Found Objects before we jump on to the next level. Additionally, you can play and clear other optional tasks too in order to increase your collections. What makes this game different from others of this kind in the league is that you earn cash every time you click a correct item which can be used to buy Hints later. Also, for every random incorrect click, you are charged dollars from our account. 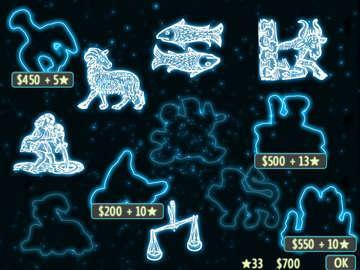 The leftover cash and collections are brought forward to next levels and can be used to buy constellations in between levels. Who knows, on buying all the constellations, you might be served with a special prize. This is not all; you are expected to fill up the missing keyword in order to decrypt the message read by the horoscope. To help you out at times when you get stuck, there is a shuffle button to change the list of items and a feature by which you get helpful advice from your friends, Steve and Sylvia, as mentioned above. An added disadvantage to this would be the disproportional size of the hidden objects. Some are extremely tiny and some are extremely large. The objects have their colors missed with the background which makes it difficult to spot them unnecessarily. This is all about Mae Qwest. There might be better arcade games than this one on the internet but this one can prove to be a good pick as a Free hidden object game.